You can delete a survey from your account. 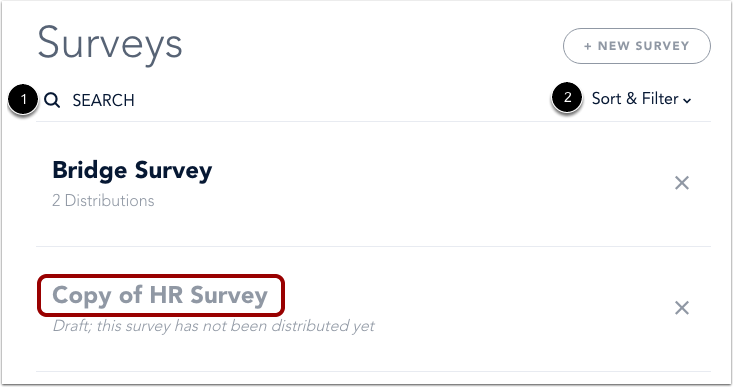 On the Surveys page, locate the survey you want to delete. You can use the Search field  or the Sort & Filter drop-down menu . To confirm, click the Delete link. Previous Topic:How do I duplicate a survey? Next Topic:What types of reports can I view for my account? Table of Contents > Manage Surveys > How do I delete a survey? 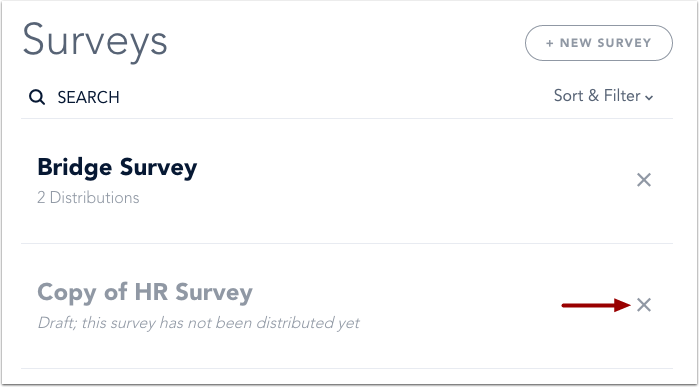 How do I use the Surveys page? What types of reports can I view for my account?